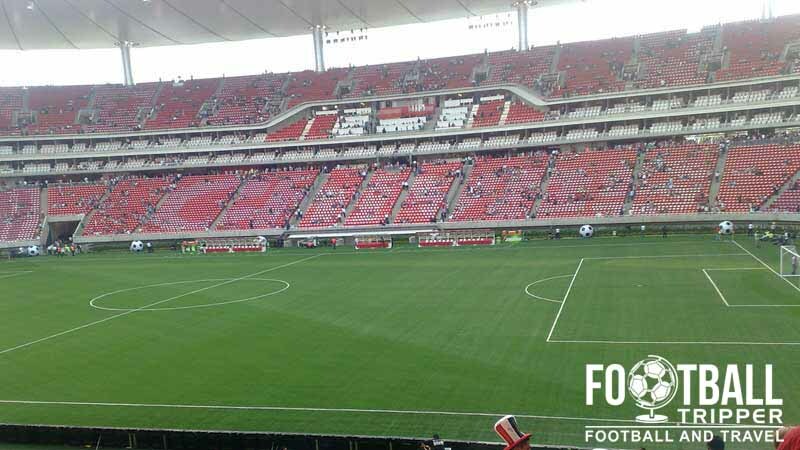 Estadio Chivas now known as Estadio Omnilife, the nutritional supplements brand for sponsorship reasons is a 49,850 capacity stadium located in the city of Zapopan, Jalisco. The inaugural fixture at Estadio Omnilife was held on 30th July 2010 between Manchester United and CD Guadalajara. The home side won 3-2 in an entertaining match up, and it famously featured the simultaneous début and send-off for striker Javier “Chiacharito” Hernandez. He played the first half for Guadalajara before switching sides to Man Utd in the second half, symbolically sealing his transfer on the pitch. Designed by HOK Sports who would later become Populous, the architectural company responsible for Estadio Omnilife also lent a hand to such iconic stadiums as Wembley, Stade des Lumières and Arsenal’s new stadium. 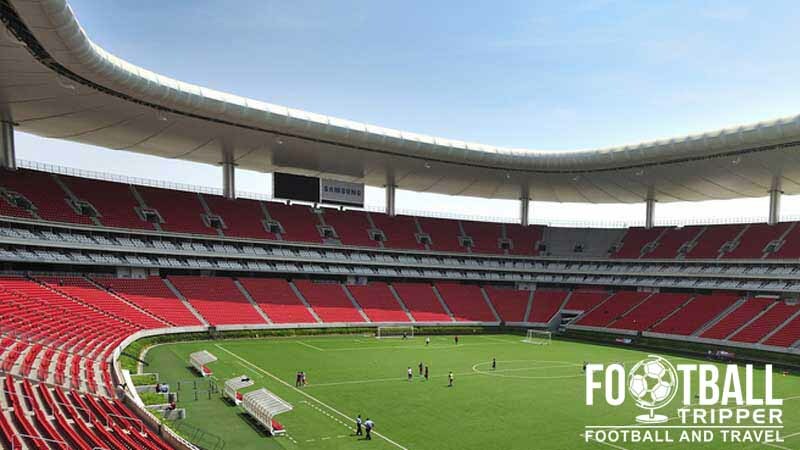 Costing a reported $200 million dollars, it is one of the most cutting edge stadiums in Mexico, and naturally shares similarities to the aforementioned European grounds. Constructed on the new stadium began on February 2004 but due to financial complications the project was not complete until six years later in July 2010. 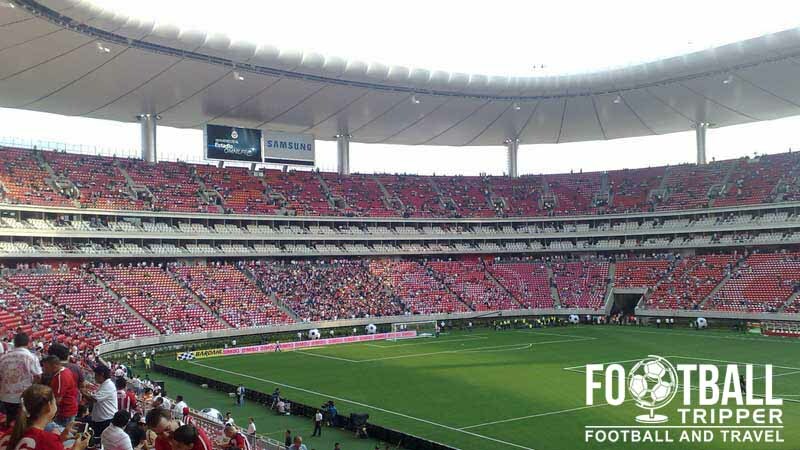 Built with a capacity of 49,850, it is the fourth largest football stadium in Mexico behind the likes of Azteca (95,500), Olimpico Universitario (63,186) and Jalisco (56,713). Although the new ground was hugely popular with supporters and fans of the clubs, the quality of the pitch initially drew criticism from some of the players. The decision to use an artificial surface may have been motivated by costs savings at first but was unpopular, and in May 2012 after Johan Cruff arrived at the club it was replaced by natural grass. 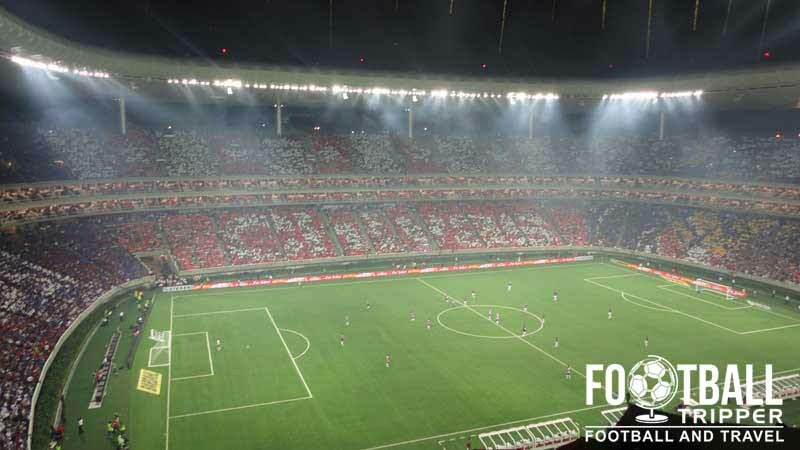 The original name of the stadium upon opening was Estadio Chivas but a few years later it officially became known as Estadio Omnilife after the nutritional supplements brand acquired the naming rights. Estadio Omnilife is comprised of four stands: North, East, South and West.